le chaudron de vulcain – November 06 , 2018. EN. Peru : Sabancaya , Guatemala : Fuego , United States : Cascade Range Volcanoes , Philippines : Mayon , Indonesia : Anak Krakatau . November 06 , 2018. EN. 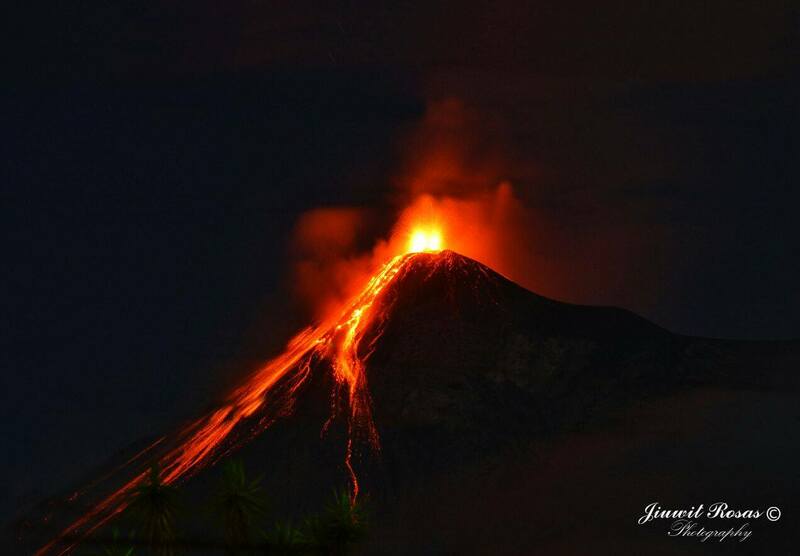 Peru : Sabancaya , Guatemala : Fuego , United States : Cascade Range Volcanoes , Philippines : Mayon , Indonesia : Anak Krakatau . Home / blog georges Vitton / November 06 , 2018. EN. Peru : Sabancaya , Guatemala : Fuego , United States : Cascade Range Volcanoes , Philippines : Mayon , Indonesia : Anak Krakatau . 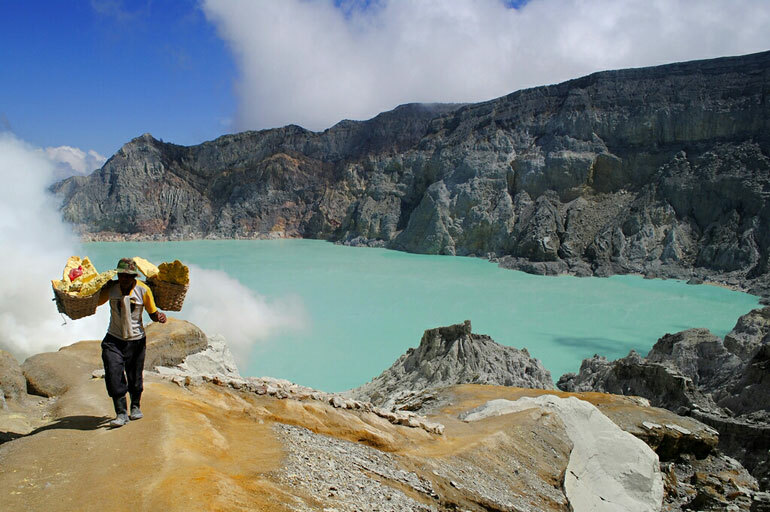 The columns of gas and eruptive ash reached a maximum height of 3,400 m above the crater. The dispersion of these materials occurred within a radius of about 40 km, mainly to the west, southwest and South. The MIROVA satellite system recorded 7 thermal anomalies, with values between 1 and 28 MW VRP (Rayed Volcano Energy). Photo : Unknown author . 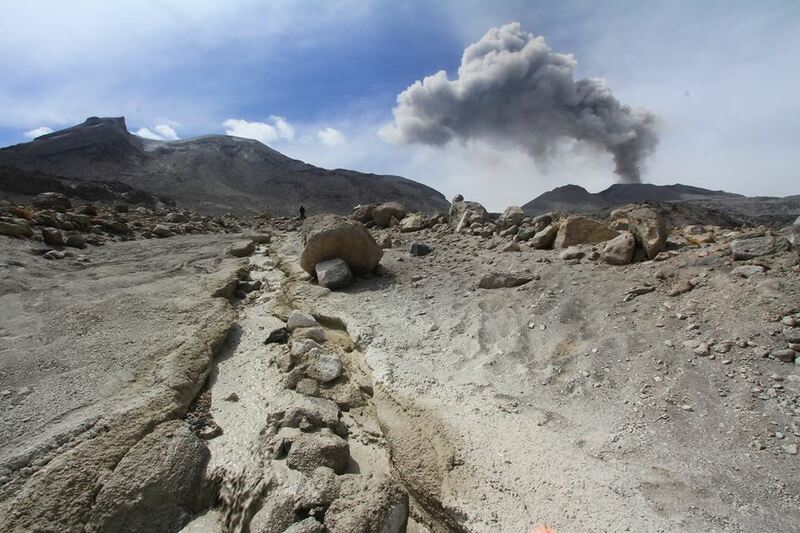 Presence of white and pale gray fumaroles at a height of 4600 m / l which disperses towards the West. 10 to 15 low and moderate explosions are generated per hour that expel columns of gray ash at a height of 4500 to 4700 m and are scattered 10 to 12 km to the west. 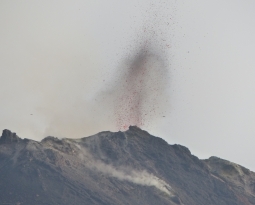 The explosions generate incandescent pulses at 200 m altitude with moderate avalanches on the crater contour. It is perceived low rumblings with weak shock waves, and sounds similar to those of the locomotive of a train in constant form. 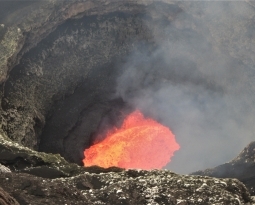 A 600 meter long lava flow descends towards the Taniluya Canyon. In the aftermath of the explosions, small particles of ash fall from Panimache I, Morelia, Santa Sofia, El Porvenir, Sangre de Cristo, Finca Palo Verde, San Pedro Yepocapa, etc. Monitoring systems show that activity at Cascade Range volcanoes remained at background levels throughout the week. 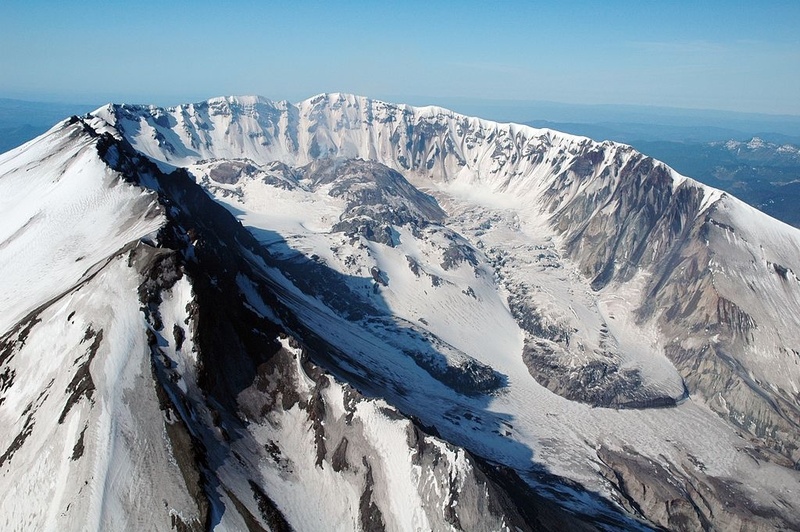 Small earthquakes were recorded at Mount St. Helens, Mount Rainier and Newberry Volcano, consistent with normal background activity. 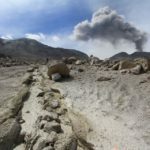 The U.S. Geological Survey and Pacific Northwest Seismic Network (PNSN) continue to monitor these volcanoes closely and will issue additional updates and changes in alert level as warranted. Photo : USGS (St Helens). MAYON VOLCANO BULLETIN 06 November 2018 08:00 A.M.
Mayon Volcano’s seismic monitoring network recorded three (3) volcanic earthquakes, one (1) pyroclastic density current and two (2) rockfall events during the past 24 hours. Sulfur dioxide (SO2) emission was measured at an average of 806 tonnes/day on 24 October 2018. Precise leveling data obtained on 22-31 October 2018 indicate inflation of the edifice in the southeast sector while the north sector indicate short-term deflation relative to 30 August to 3 September 2018. The volcano generally remains inflated relative to 2010 baselines. Electronic tilt data further show pronounced inflation of the mid-slopes beginning 25 June 2018, possibly due to aseismic magma intrusion deep beneath the edifice. Eruption with ash clouds at 03:00 UTC (10:00 local time). The eruption lasted for 54 seconds. Best estimate of ash-cloud top is around 3002 FT (938 M) above sea level, may be higher than what can be observed clearly. Source of height data: ground observer. Eruption recorded on seismogram with maximum amplitude 58 mm and maximum duration 54 second. 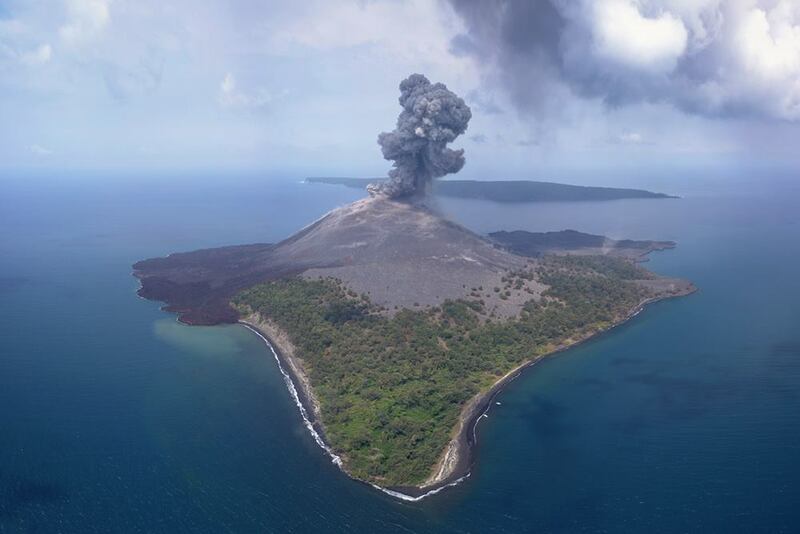 Information on the eruption of Mount Anak Krakatau, November 6, 2018. 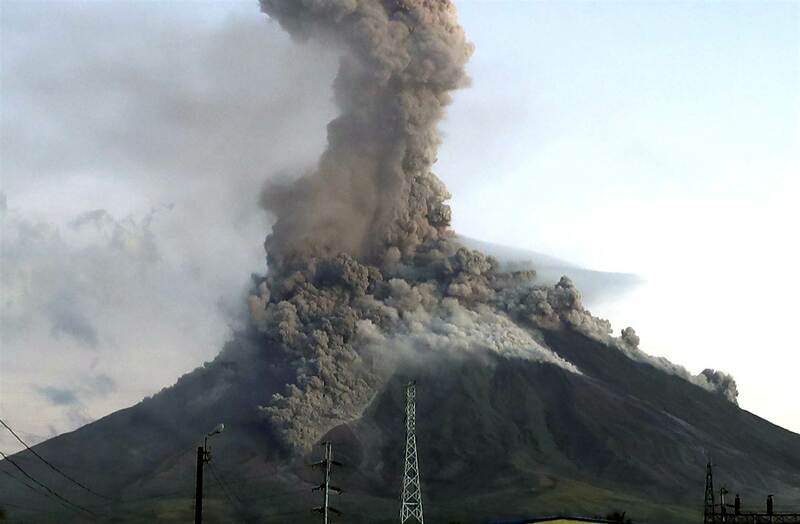 The eruption of Mount Anak Krakatau at Lampung on November 6, 2018 at 10 am WIB had an ash column height observed at ± 600 m above the summit (± 938 m above sea level). The ash column was observed to be black in color with a thick, north-facing intensity. This eruption is recorded on a seismogram of maximum amplitude of 58 mm and a duration of ± 54 seconds. 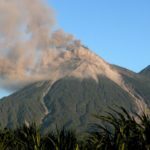 Étiquettes : Blog Georges Vitton, Chaine des Cascades, etats-unis, Fuego, guatemala, Indonesie, Krakatau ., Le chaudron de vulcain, mayon, perou, philippines, Sabancaya. 06 Novembre 2018. FR. 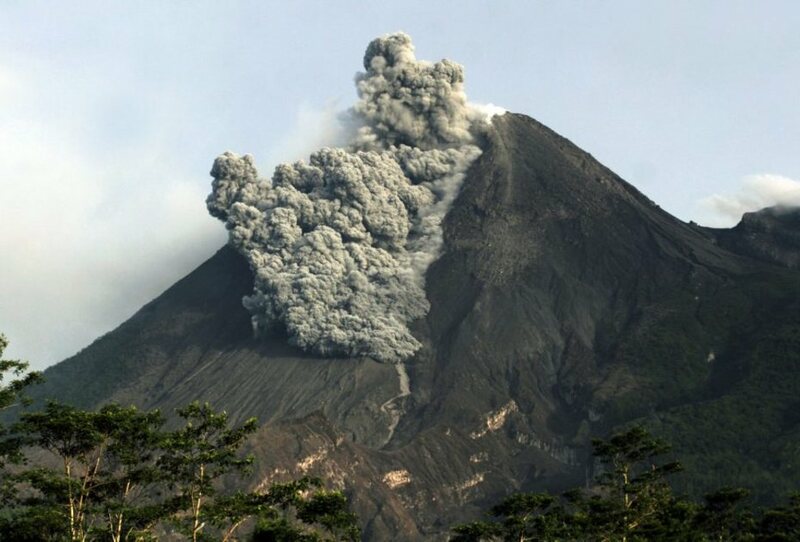 Perou : Sabancaya , Guatemala : Fuego , Etats Unis : Chaine des Cascades , Philippines : Mayon , Indonésie : Anak Krakatau .